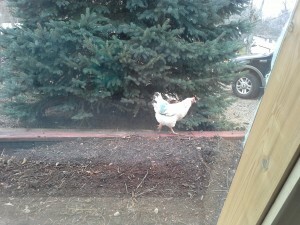 Several days after my last post it looked as though one of our young Delaware hens was going broody. She would sit in the same nesting box all day often joined by one of her flock-mates. 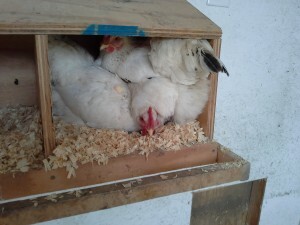 I’ve read that it’s not uncommon for others in the flock to help fill the nest for a broody hen. 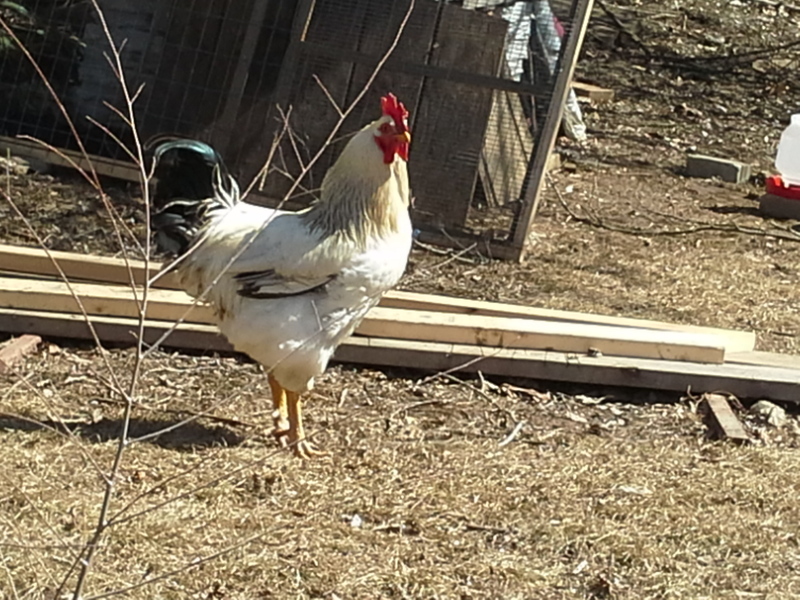 We had planned on increasing our flock with Rhode Island Reds (RIR) and were referred to someone that agreed to collect a dozen eggs from his show quality blood line. The next step was to move the little brooder set up into the big coop. 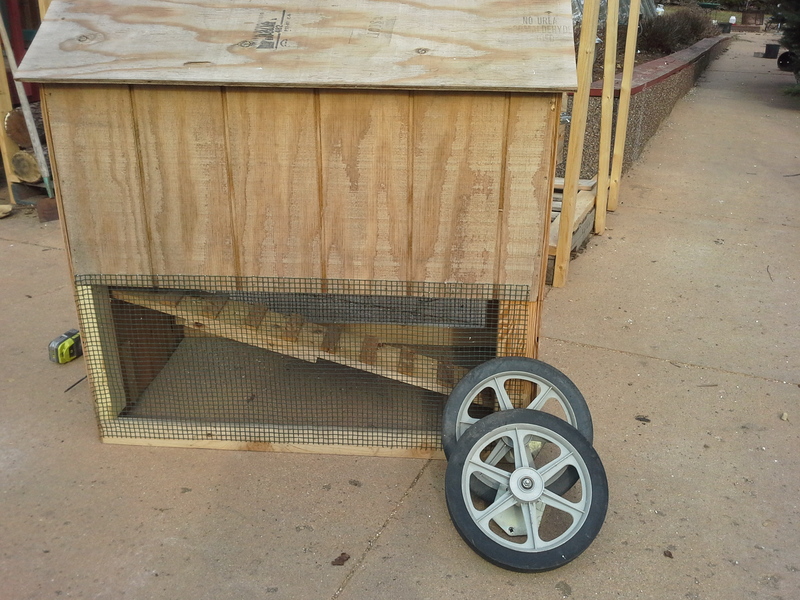 Rod had expanded on last year’s broody box by adding a hardware cloth base, ramp, and wheels so it could be used as a small tractor. 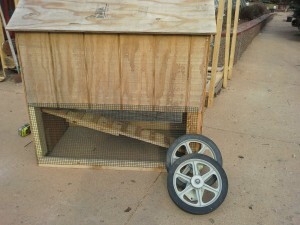 This worked great for portability, but it would not fit through the coop door so off came the wheels and it slid right in. 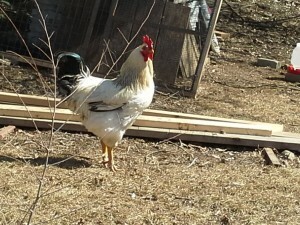 We soon had a hen in the brooder on a nice clutch of eggs. She was tucking eggs, fussing with the bedding, and making little broody noises. We couldn’t believe how well this was going, but come evening everyone was happily roosting including our “broody” little hen! Since she’s one of the young hens, we figured we’d take her off the roost close her into the brooder where it’s quiet and cozy then check on her before we turning in to see if she settled into brooding. The problem was . 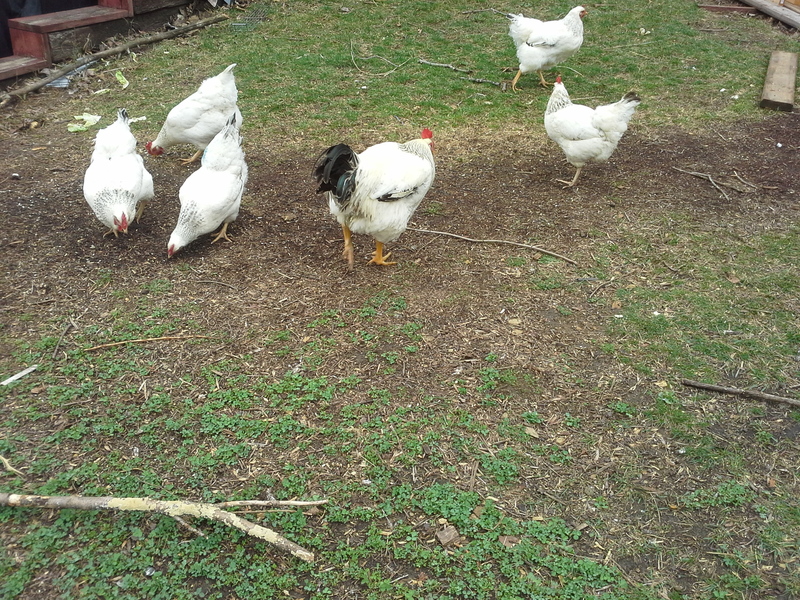 . . the hens all look alike! 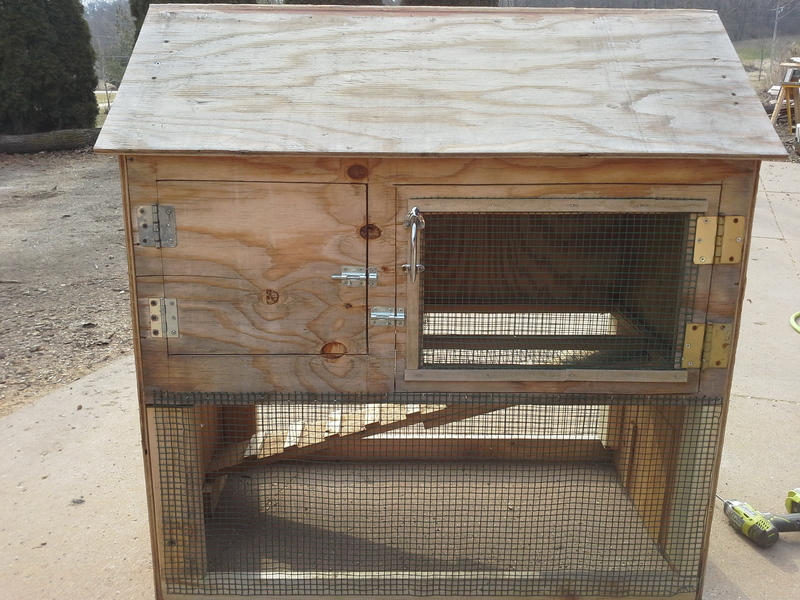 Since we need to increase egg production to meet customer needs, and will be brooding at least four RIR chicks we’ve decided to order a dozen Black Australorp pullet chicks. We pick them up on May 5th which is the same day the RIR’s should be hatching. I can hardly wait! !